The cloud was low and the sky was murky and overcast. “The cloud was barely 200 to 300 metres above ground and the jets immediately disappeared into the cloud after take-off,” Wang said. “In China, [our military planes] would not have taken off [for training] if the cloud was lower than 400 metres above ground,” he explained. 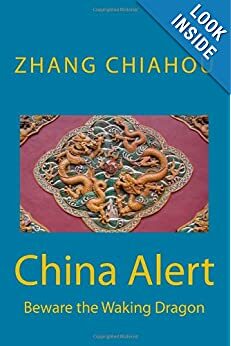 As China expands its military might with new aircraft carriers, advanced fighter jets and other world-class weaponry, questions have been raised about whether the People’s Liberation Army can compete with other advanced forces. Wang, now a naval armament expert, pointed out that size was only one determining factor in modern warfare, and hardware could only answer part of the question as China raced to catch up with leading powers like the US and its top allies, including Japan“It is the people who use these weapons that count, and that essentially boils down to our level of training. Antony Wong Dong, a military expert based in Macau who has spent years studying the PLA, agreed with Wang’s assessment. Although the PLA – which has not fought a major war since the Korean war – has made great strides in improving training for its rank and file in past decades, Wong said there was much room for improvement to raise its “preparedness”. That was in fact the message from President Xi Jinping in December in a speech reminding the top brass that strengthening training and preparation for war would be the top priorities for the PLA in 2019. Naha, in Japan’s Okinawa prefecture, is home to the 9th Air Wing, which was set up three years ago with 40 F-15 fighter jets. 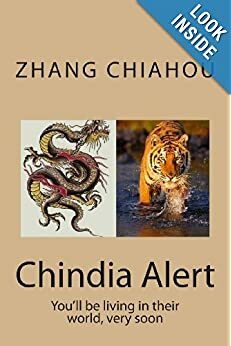 It was a time of growing assertiveness by China in the East China Sea, including over the contested Diaoyu Islands, which are administered by Tokyo but also claimed by Beijing and Taipei. According to the Joint Staff of the Japanese defence ministry, in the 2017 fiscal year, which started on April 1, there were 500 scrambles by Japan’s Air Self-Defence Force to intercept Chinese military aircraft flying over the region, compared with 851 scrambles in 2016. But in the first three quarters of the 2018 fiscal year, the number of scrambles reached 476, as Xi pushed the PLA to conduct more training, including exercises further from home. And, as China starts testing its first home-made aircraft carrier, Tokyo announced in December that it would convert its helicopter carrier, the destroyer Izumo, into an aircraft carrier capable of launching American F-35B fighter jets. Against such a background, Wang said China needed to reflect deeply on its overall military strength in addition to investing in cutting-edge weaponry. This was the reason for his heavy heart at Naha Airport, as he watched the extent of Japanese military training. “On that day it was not just the F-15s taking off [at Naha], but also Ospreys and Sikorsky Seahawks, and the training went on non-stop the whole day,” Wang said. “It immediately came to my mind that we should not look down upon the Japanese forces. We must bear in mind that the level of training reflects your level of combat preparedness. “Our fleet of warships and military planes far outnumber the Japanese forces, even by the number of more advanced generations of fighter jets … but in real combat, the size of the battlefield is limited, whether it is at sea or in the sky. The rapid development of new hardware could also pose challenges for training Chinese troops, especially in helping them master the skills necessary to use and understand the new weapons. “We are still exploring. It is not that we are slack. [These new weapons] are just too advanced,” Wang said. “Like [the stealth fighter jet] J-20… or [carrier-based fighter jet] J-15, we initially didn’t know how to make the best use of them in different circumstances. “We only recently mastered how to take off and land [J-15s] at night. It is not certain if we are ready to undertake evening flight missions of these aircraft when they are loaded with heavy missiles,” he said. 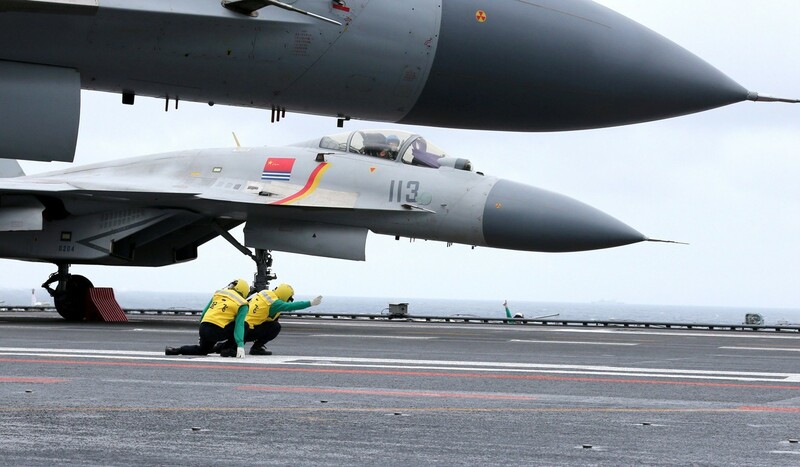 Military expert Wong said the PLA had yet to resolve many issues, including pairing up its J-15 fighter jets and its aircraft carriers. “To what extent can PLA troops and these weapons work seamlessly in executing tactics?” Wong said. The initial rescue operation to help the miners had to be stopped as the pumps were not adequate to flush out large volumes of water. The state government then sough Centre’s help and high-powered pumps and a team was dispatched from Odisha. After delays and hiccups, two teams of rescuers—one comprising divers from Indian Navy and another from the Odisha fire services—reached the flooded coal mine in Meghalaya on Saturday where 15 miners are trapped since December 13. But except conducting recce at the site located at Khloo Ryngksan in East Jaintia Hills district and attempts to set up the high-powered pumps needed to flush out water nothing much happened during the day. Actual work on the ground will begin early on Sunday morning. National Disaster Response Force (NDRF) Assistant Commandant Santosh Kumar Singh, who is overseeing operations at the rat hole coal mine. said a three member team of the Indian Navy visited the site.”They did a recce of the spot, spent 30 minutes inside the main pit. They also held a meeting with us and are likely to start operation tomorrow. Now that they are here we will assist them,” he said. The water levels inside the mine remains unchanged, he said. Ace diver Jaswant Singh Gill from Amritsar with prior experience of saving miners in West Bengal was again at the coal mine today. A team of Odisha fire and emergency services, who finally reached the spot, tried to install their high-powered pumps. “They may be operational by tomorrow,” Singh said. “Pumps and other machinery are being installed at the site. Everyone is working overtime with extreme dedication and zeal as our mission is to save lives. That is our top priority,” East Jaiñtia Hills district police chief Silvester Nongtnger told Hindustan Times. The initial rescue operation to help the miners started on December 14 once the NDRF and SDRF teams arrived. On December 17, a team of Directorate General of Mine Safety along with Coal India officials arrived and suggested 100 HP submersible pumps be used. The district administration wrote to the state government seeking immediate help from Coal India on December 20. However, it was only on December 26 that Coal India received a request from state government for assistance. The rescue operation launched by the state government had to be stopped as the pumps were not adequate to flush out large volumes of water. The state government then sough Centre’s help and high-powered pumps and a team was dispatched from Odisha. But due to total lack of coordination and support from the local administration in Meghalaya, the arrival of 21-member team was delayed. The team reached Guwahati on Friday morning around 11:30 am, but due to lack of transport provided by Meghalaya they had to wait till 5:45 pm to start their 220 km journey to the mine. “Initially we were told that we would be travelling by trucks. Then the plan was changed and it was decided that dumpers would be used to shift the equipment to the accident site,” said Sukant Sethi, Chief Fire Officer (Odisha), who is leading the team. “By the time we reached a primary school (located 25 km from the mine) where we were supposed to spend the night it was 2 am on Saturday. There was no person from Meghalaya government’s side who helped us with basic needs,” Sethi said. Another aspect of seemingly lukewarm response by the government has emerged. Tata Trusts had offered to lend two pumps which it had airlifted from London to augment rescue efforts during the Kerala floods to Meghalaya but till date, there has been no response from the government. Efforts to reach Peter W Ingty, additional chief secretary in-charge revenue and disaster management by Hindustan Times proved futile as he did not respond to calls.